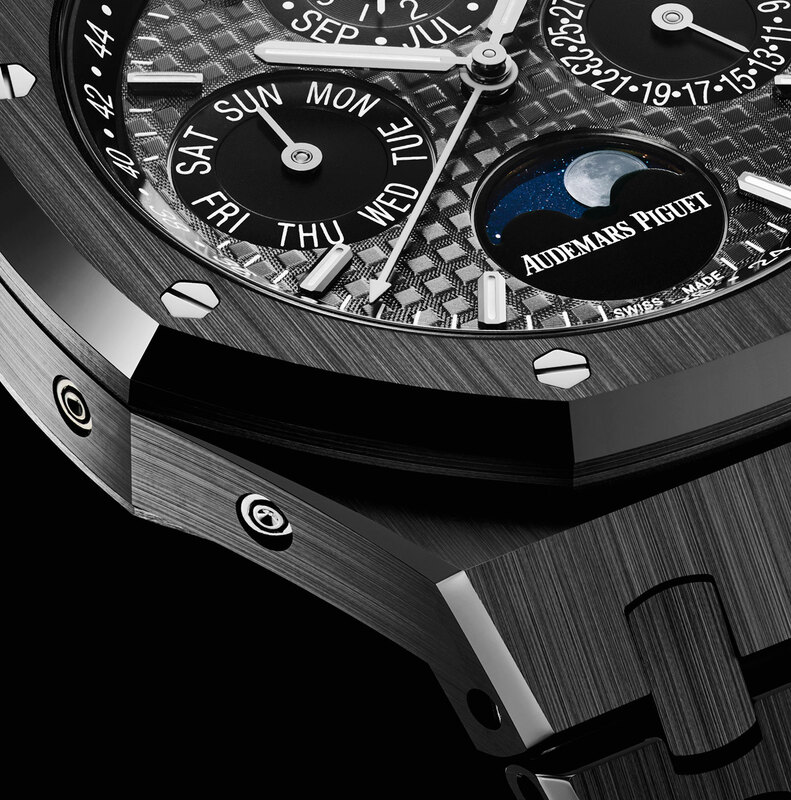 While ceramic has been a favourite material at Audemars Piguet for the Royal Oak, it has not been used for a watch bracelet, until now. Just announced at SIHH 2017, the Royal Oak Perpetual Calendar is ceramic from end to end, with the case, bezel and every link of the bracelet in black ceramic. The case is 41mm in diameter, just like the standard model, but the finishing of the case and bracelet takes significantly more time than for the steel or gold equivalent. While a steel model takes some six hours to machine, polish and put together, the ceramic version takes 30 hours. To match the ceramic case, the dial is a dark grey with black sub-dials, decorated with the chequerboard grande tapisserie guilloche that’s synonymous with the Royal Oak. 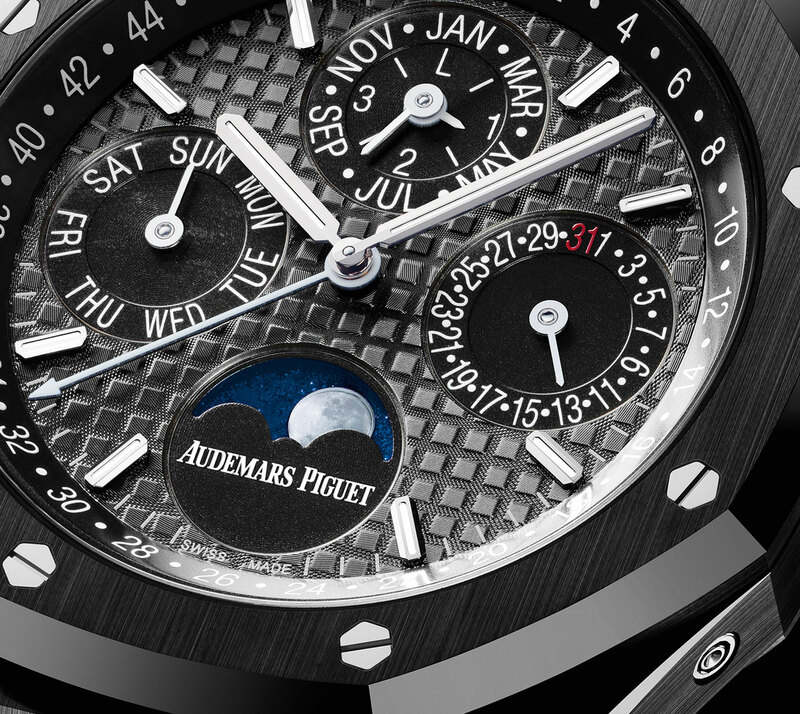 Historically an important complication for Audemars Piguet, the ceramic perpetual calendar is powered by the calibre 5134, a movement based on the extra-thin calibre 2120/2121 found in the original Royal Oak of 1972. In fact, the calibre 5134 is evolved from the calibre 2120/2802, the movement used for the 39mm Royal Oak perpetual calendar that was in production for some 30 years. The key difference in the new calibre being the addition of a 52 week indicator. 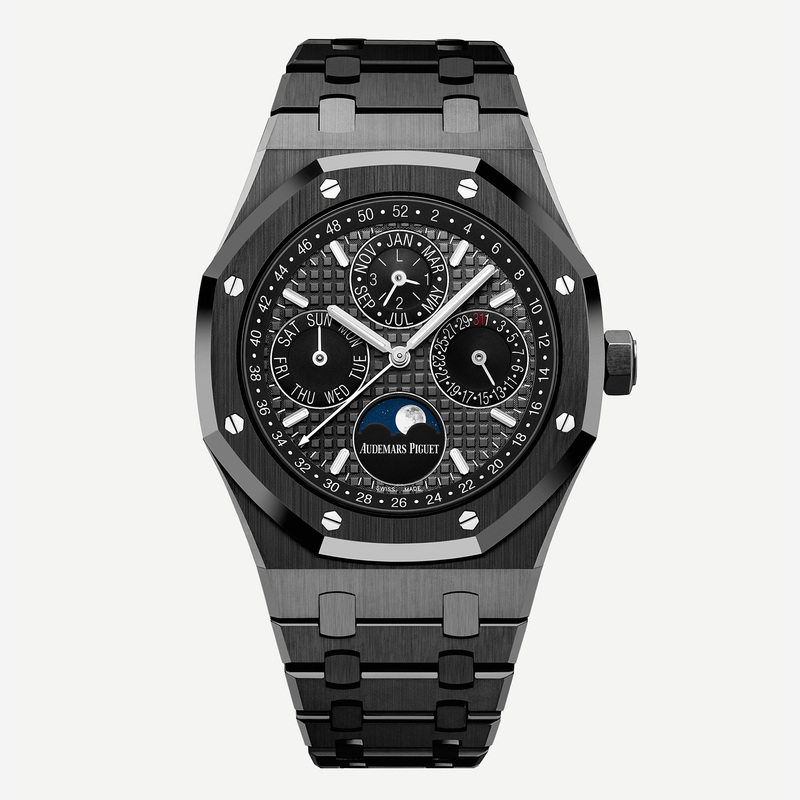 The Royal Oak Perpetual Calendar in black ceramic (ref. 26579CE.OO.1225CE.01) is priced at SFr85,000. It should be available in the second half of 2017.